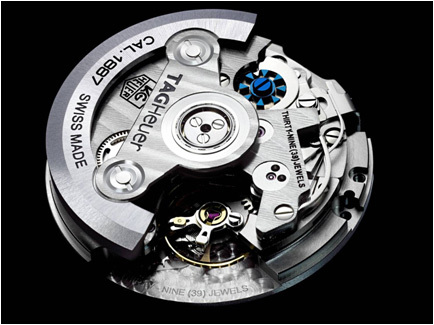 After a decade of legal dispute, the Swiss Competition Commission (COMCO) has eventually allowed the Swatch Group to gradually cease supply of movements parts and blanks to competitors. In 29 years of existence, Swatch Group has transformed from a flailing industry into the world’s top producer of watches (in value), thanks to an entrepreneurial strategy that contrasts with the financial approach of its foes. Besides the supply of movements blanks announced in 2002, Swatch Group has also expressed its intention to stop suppying all other components of watches to third parties (cases, dials, hands, crystals an straps). The strategy is simple: in the near future, Swatch Group will only be supplying its own brands. In this essay, the author attempts at explaining how the current monopolistic position of the Swatch Group might have been brought on by ill financial solutions applied to an industrial reality. Since its inception, the Swiss watchmaking industry has been profoundly marked by every passing World crisis: the Great Depression following the 1929 Wall Street Crash took out most of the companies that had seen birth and prosperity throughout the 19th century. In 1931, the Swiss government and the Swiss banks oversaw the horizontal integration of another group named Allgemeine Schweizerische Uhrenindustrie AG (ASUAG), which gathered most of the manufacturers of movement parts and blanks. As Europe slowly rose from the ruins of WWII, the Swiss watch industry experienced a golden age that lasted three decades until the 1973 Oil Crisis and the ensuing stock market crash. A commonly-accepted assumption blames Japanese quartz watches for flooding the market in the early 1970’s. However, Japan-based researcher Pierre-Yves Donzé has been poking serious holes at that theory: the truth might have more to do with the fact that the Swiss could either hand-build fine timepieces or mass-produce low quality watches, but they never sought to combine both skills. Japan was the first in managing to mass-produce fine mechanical watches and as a consequence it released on the market reliable mechanical watches that were much more affordable thant the competition. Thus would Japanese mechanical watches and the 1970’s crisis have spelled doom for the Swiss industry. Creditors of the Swiss industry turned to a consultant who had previously made a name for himself by helping the government save millions. Asked to oversee the liquidation of the two conglomerates, Nicolas Hayek suggested to restructure and merge them. In 1983, the Swiss government and private investors re-organized the ASUAG (which also included watch brands after 1972) and merged it with the SSIH to create the Société de Microélectronique et d’Horlogerie (SMH). The SSIH holding brought with it the know-how of brands Omega and Tissot, who had become dependent on movement maker Lemania. When consulant Nicolas Hayek suggested to make the new conglomerate private 1983, both the Swiss goverment and the creditors failed to see the objection. Mister Hayek had (knowingly or not) suggested to privatize most of the intellectual property and heavy machinery of the watchmaking industry. Back when the success of ASUAG was not tied to any specific brand, this might not have posed a problem, but since the privatization connected the interests of ASUAG to specific brand, this would prove a serious liability 20 years down the road. To keep factories running and preserve jobs, Nicolas Hayek decided to exploit a cheap watch design based on the development of low-cost quartz watches. The Swatch helped keep cash flowing, and the industry managed to recover from the 1970’s crisis. During the 1990’s, watch companies rose again by following the tradition of sourcing movements parts and blanks from ETA, successor of the Ebauches SA, which mission had alwasy been to supply the industry. Two suppliers in particular, Sellita and Soprod, excelled at sourcing blanks and supplying finished movements at very competitive costs. Successive price increases from ETA raised complaints from customers, much so that at the turn of the century Mister Hayek he expressed his decision of ending all supply to third parties. His explanation was that his group had to keep reinvesting in heavy machinery while competitors were at liberty to invest heavily in marketing and get an advantage. As a consequence, the Swiss COMCO brought in by customers like Sellita, Soprod and Jacquet SA to rule on possible monopolistic practices. It might have been impossible to prove that the Swatch Group is in a monopolistic position because there are other factories that offer finished movements: ISA, Ronda and Soprod offer quartz movements, while Concepto, La Joux-Perret, Progress Watch, Soprod, Technotime and Vaucher Manufacture offer mechanical movements. Furthermore, most patents on mechanical movements used by ETA have now fallen into public domain, so there is nothing preventing a competitor to exploit their construction. The catch is that none of these factories can offer the same prices as ETA, simply because their production capacity falls short in comparison. Attempts at designing a new movement from scratch are very risky because it takes years of trial to discover and fix the flaws of a construction. It is not without reason that ETA still relies on architectures that sometimes go back to half-a-century ago. One of the ways in which these factories can compete is by offering much shorter delivery times: now ETA delivers order anytime from 12 to 24 months after. Another strategy is to focus on high-end products, which is the path most of them have chosen. In front of this headlock position, newcomers have started to capitalize on loopholes in the Swiss Made regulations. At the moment, can only be marked as “Swiss Made” the watches that have been assembled in Switzerland with Swiss movements. A movement can only qualify as “Swiss” if 50% of its value has been added in Switzerland and it has been assembled and controlled there. Several makers like Claro Semag, DEPA, Nigiro, Swisstech of Technosablier have started importing Chinese blanks to have them finished and controlled according to Swiss standards. There are also non-official agreements between Seiko and more than one Swiss factory to use japanese blanks to build Swiss-compliant mechanical movements. In the end, competitors of the Swatch Group have been able to individually organise and sometimes coordinate to create alternatives. Currently, the niche above ETA has been filled with high added-value complications based on ETA clones. The price niche below ETA is quickly filling with Sino-Helvetic alternatives, and it remains to be seen if the end customer will be pleased to learn that the movement of his Swiss Made watch has been designed and machined in China. Swatch Group has internally started to increase the differentiation between its own brands: high-end brands Blancpain, Breguet and Jaquet-Droz have always relied heavily on Lemania. Omega now benefits from dedicated movements, and Longines recently became the recipient of exclusive complications based on ETA movements. Simply put, if Swatch Group decides to burn bridges with the rest of the industry, they better be sure about growing on their own because if another viable alternative shows up and things turn sour for them, former customers will think twice before getting back in business with them. Furthermore, if at least one competitor manages to produce a mechanism that slightly performs better for the same price (easier maintenance, longer power reserve, less frequent servicing). 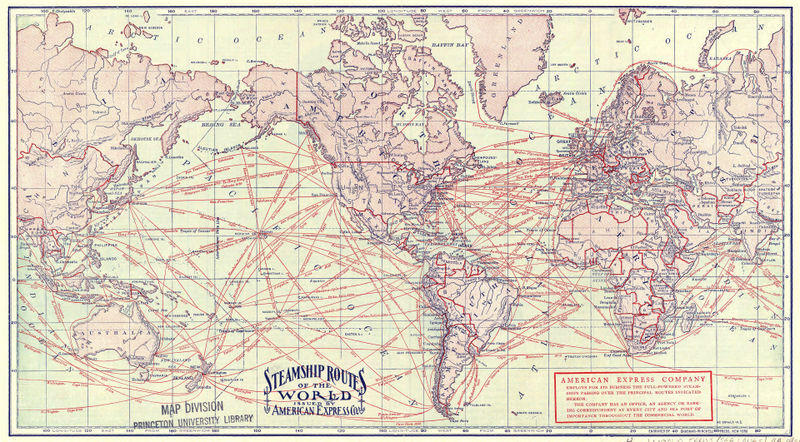 This could be achieved by importing technology from another field or by adopting designs from a foreign company. The most likely outcome is that Sino-Helvetic alternatives will become widespread, eventually cheapening the Swiss Made concept. Swatch Group would then have to lobby to raise the bar, which could turn against themselves since the math suggest that they themselves cannot maintain existing prices without a little bit of outsourcing in the Far East. The stakes are rising, so it will be interesting to see how the competition manages to work around the boundaries set by Swatch Group, which currently seems to have the upper hand. The Swiss watchmaking industry survived two World Wars and two financial crisis, so let’s hope it will manage to move forward despite the current setback.